Forever 21, one of the most recognized and largest independent fashion retailers in the world, announces artist Khalid as the face of their summer digital campaign for #F21XMUSIC and the Forever 21 Men’s line. 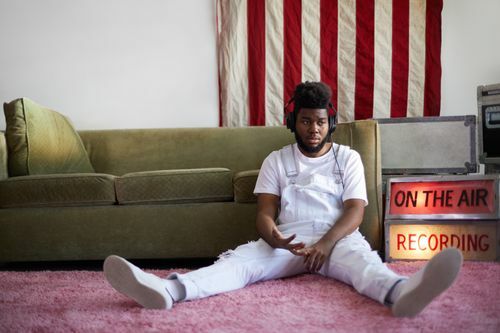 With nearly half a billion streams worldwide and a rapidly growing social media following, Khalid’s authentic voice perfectly aligns with Forever 21 to connect with and inspire consumers. The Forever 21 Men’s Collection includes a wide range of fashion-forward and affordable products, including apparel, shoes, and accessories. The Summer Collection features Forever 21’s private label items as well as an extensive variety of brands. The campaign showcases the breadth of the brand’s menswear and the versatility of the collection, highlighting the summer staples of denim jackets, swim trunks, and t-shirts. Also included in the campaign is a digital & film lookbook shot by rising photographer Renell Medrano, who was selected by the brand for her raw imagery and storytelling. The Forever 21 Men’s Summer collection ranges in price from $14-$37 and launches on Forever21.com on Monday, May 15, 2017.